Citizens of many countries are exempt from visa while traveling to Costa Rica. Nationality, purpose of visit, stay duration and country of residence play a vital role in determining whether an individual needs a visa to travel to Costa Rica. Citizens of countries who are exempted from visa should in any case carry their passport along with them. Citizens of Austria, Denmark, Argentina, Germany, Columbia, Canada, Japan, Romania, Finland, Israel, Netherlands, Italy, Norway, Panama, Luxembourg, South Korea, Spain, United Kingdom and United States do not require a tourist visa to visit and stay in Costa Rica for a period not exceeding 90 days. Citizens of Australia, Honduras, Brazil, Ecuador, Belgium, Guatemala, Iceland, Liechtenstein, Ireland, Mexico, Sweden, Monaco, New Zealand, Switzerland, Vatican, Venezuela do not require a tourist visa to visit and stay in Costa Rica for a period not exceeding 30 days. Citizens of Andorra, Grenada, Belize, Trinidad & Tobago, Barbados, Chile, Bermuda, Bolivia, Cyprus, Dominican Republic, Surinam, Grenadines, Martinique, Guadalupe, Guyana, Haiti, Greece, Malta, Morocco, Peru, San Marino, Serbia and Montenegro, Paraguay, St. Lucia, St. Vincent, Saudi Arabia, Taiwan, Uruguay, Jamaica require a tourist visa to stay up to 30 days. Issued to citizens of any country who require a visa to travel to Costa Rica, the tourist visa is valid between 30 days and 90 days and the visitor should posses a return ticket and sufficient money to fund self during stray in Costa Rica. Citizens belonging to countries that require a visa can visit Costa Rica regarding business using a tourist visa itself. They can stay in Costa Rica for less than 90 days using the tourist visa. Transit passengers do not require tourist visa, provided they hold a confirmed ticket to their destination and take a connecting flight to the destination country within 48 hours after landing in Costa Rice. Such passengers are not permitted to leave the airport premises too. 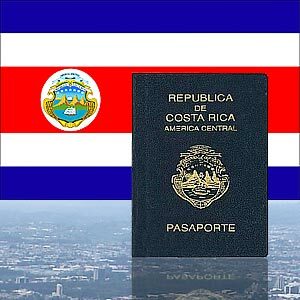 Multiple entry visas - If the traveler is a regular visitor to Costa Rica and travels to Costa Rica several times in a year, then he/she should apply for multiple entry visas. Birth certificate of the traveler with names of both parents. Travel visa is issued between 1 day and 2 weeks; for citizens of few countries visa approval might take a little longer. Disclaimer: These pages are intended to be used as a guide only. Visa information for most countries change often without any advance notice. It is essential that you call the respective country’s embassy before you make your travel plans. Although all due care has been taken in compiling the information available in these pages, the Webmaster or publishers of the CityRound will not be held accountable under any circumstances for any errors or omissions found in these pages.